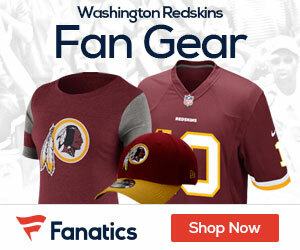 The Redskins continue to apply pressure on those opposing their nickname, this time targeting Senate Majority Leader Harry Reid with a Twitter campaign, John Keim of ESPN.com reports. But not all of the responses have favored keeping the name, with the effort also serving as a platform for many who oppose it. It’s the latest in the battle by those invested in whether the team should keep the name. It’s also the second time in a week the Redskins have engaged Reid, a main proponent of changing it. Last week, team president and general manager Bruce Allen sent an in-depth letter to Reid, explaining the origin of the name and the public support it enjoys. That came in response to a letter signed by Reid and nearly half of his fellow senators and urging the team to change its name. The National Congress of American Indians and the Oneida Indian Nation sent a letter to every NFL player Wednesday asking him to support a name change. The Redskins’ Twitter feed then asked fans to tweet their support. Shortly thereafter, #RedskinsPride was trending in the United States. 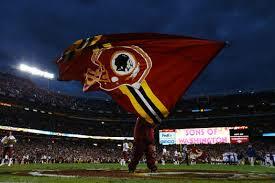 A Redskins spokesman declined to comment on the Twitter reaction. Those in Reid’s office, meanwhile, were thrilled with the results.